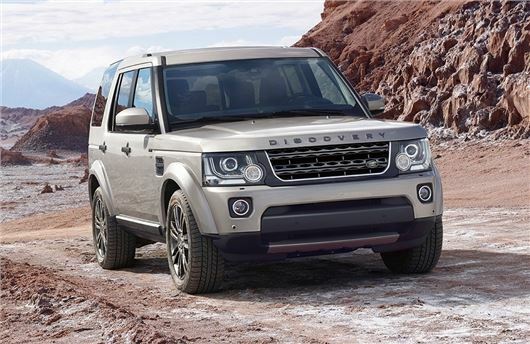 Land Rover is launching two new Discovery models - the Graphite and the Landmark. Both available to order now, the Discovery Graphite is priced at £47,495 while the Discovery Landmark will set you back £55,995. The new Graphite model, pictured above, comes in nine different colours but all get a grey graphite finish to the wing vents and grille along with a unique 19-inch alloy wheel design in a high gloss dark grey. Costing an extra £8500, the Discovery Landmarkm below, is based on the already high-spec HSE Luxury and adds full length roof rails, black wing vents and grille plus 20-inch alloys with a five-split spoke design. The Landmark model is available in five paint colours including Zanzibar, shown in the picture below, which is exclusive to the special edition. Inside, it gets an extended leather pack throughout while there's a choice of Grand Black Lacquer or Straight Grained Walnut Wood and Leather for the steering wheel.